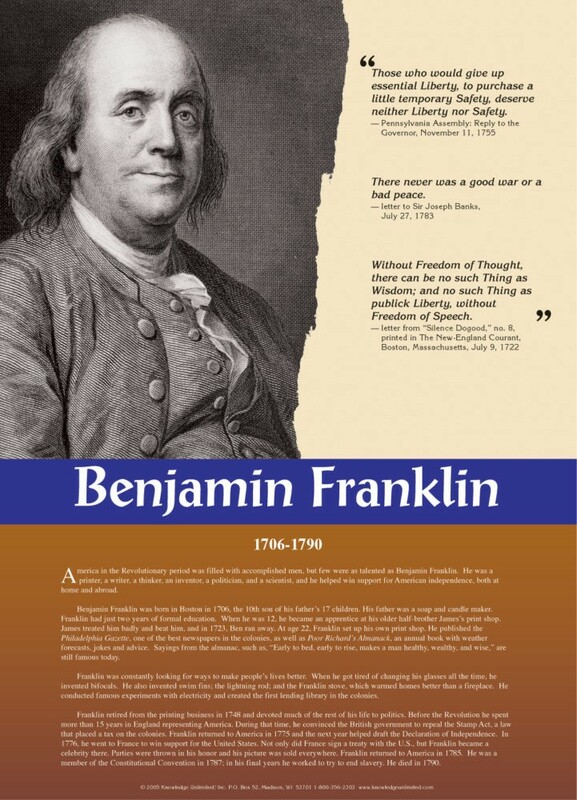 This educational poster features a striking black and white image of Ben Franklin, along with three quotes from his writings, and a concise and clearly-explained biography. Franklin was one of the most brilliant and multi-talented of America's Founding Fathers. He was a printer, a thinker, an inventor, a politician, a scientist, and a diplomat, and helped win French support for the U.S. 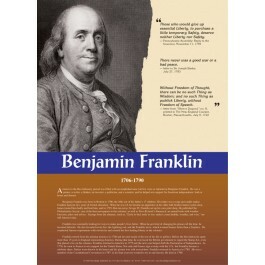 These and more interesting facts about Franklin can be read on this poster.